girlnextdoorfashion: running, food, lifestyle, lipstick: So you don't wanna hear about my good day? I was back on training for a few days last week and this was one of the outfits I wore. These trousers are a little more on the casual scale for work so I don't tend to wear them that often, but if I know I have a day in the office with no meetings, or a particularly casual meeting to go to, this is alright to wear. 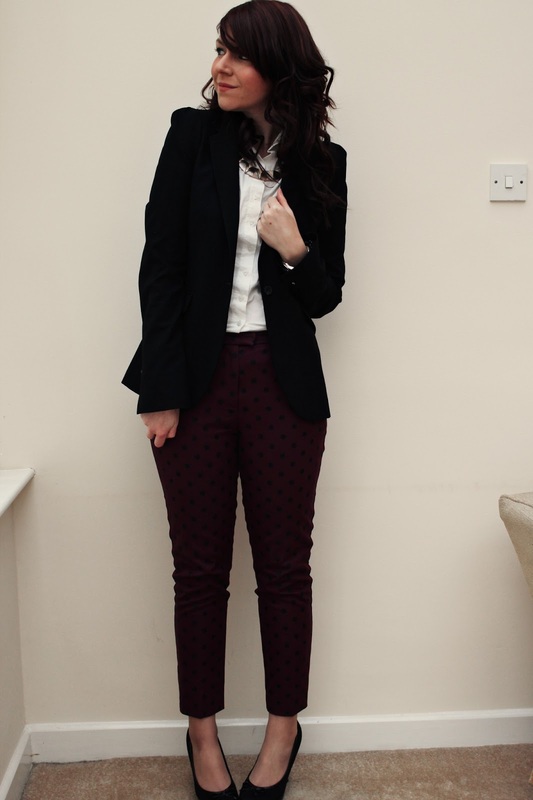 I find that adding a smart white shirt and blazer is the perfect way to dress a more "fun" piece down for work. 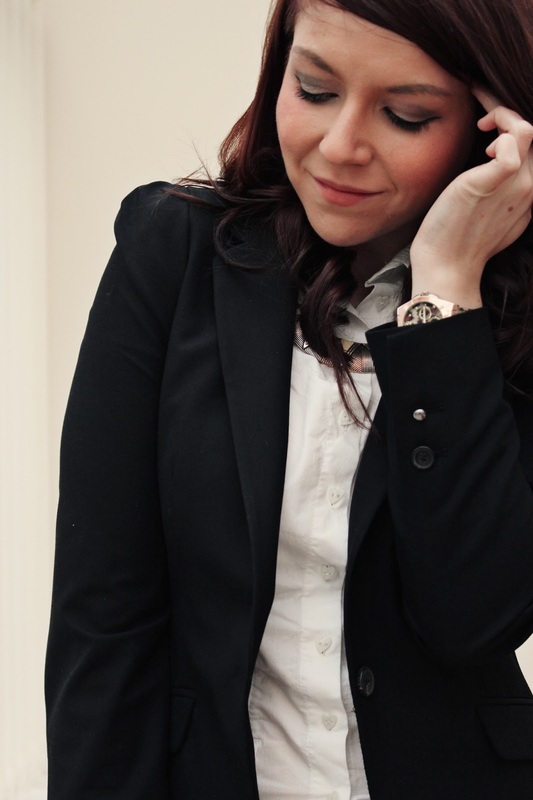 I have a post planned with tips on how to dress for work, and that's one of the ones on my list! I'm really excited to get that post but because it's been in the works for ages, but I'm so behind at the moment. I have another three outfits posts planned to go up and two lifestyle posts in the pipeline! My boss asked me today how I was finding working full time and I just said "It takes up a lot of time!" I've had an absolutely awesome day at work today. I'd had a bit of a bad week last week and I was determined to push through it. I ended up booking two appointments today (I have to book three a week and don't usually get more than one) and brought in a massive order for the company, so I'm feeling really good. My job can be really tough but I know it's still early days (I've only been working there for three months) and I can find it frustrating that I'm not great at it yet, but I'm so excited for what the future will hold. Then I came home to a lovely Jamie Oliver meal made by my Mum and I'm gonna have a relaxed evening before I start 6 Week 6 Pack later. It's so nice to come home from work knowing I did my absolute best and it paid off. I just have to keep it up! I'm going out for dinner after work tomorrow, so I'll be back on Thursday hopefully! I have so many posts to get up and I hate being so behind! I want your trousers. That is all.